* Amtrak's Scenic Coastal Train Ride on the "Downeaster Excursion". Away we go as we point our coach towards upper New England for a fabulous Maine where a fabulous Maine vacation awaits you ! Our first day of travel allow us to get acquainted with our new traveling friends before checking in to our hotel at Danbury, Connecticut for the night. Dinner is on your own tonight at a nearby restaurant. Breakfast included at your hotel this morning. We then make our way further northeast today and arrive in Boston to enjoy some free time at the popular Quincy Marketplace for shopping and lunch on your own at the various eateries. Then we'll hear "All Aboard" as we embark on a rail ride via Amtrak's Scenic Coastal Train Ride, the "Downeaster Excursion" - what a way to go ! You will enjoy comfortable reclining seats with room to stretch and move around. 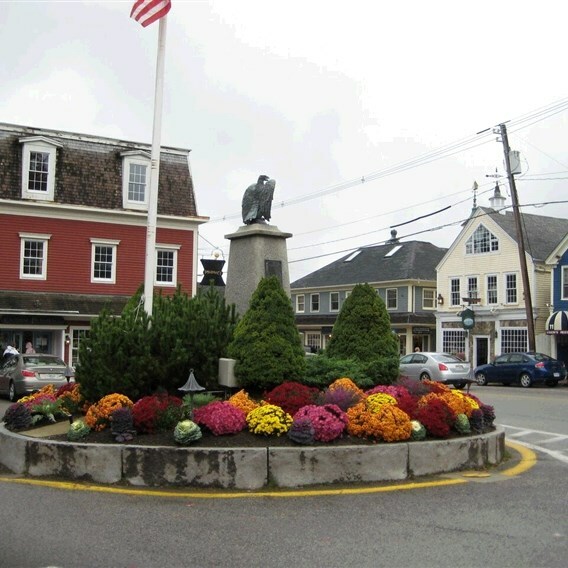 As we pull into the station, our coach will be waiting to take us to Kennebunkport where we'll meet our local guide for a lovely narrated tour of this famous town. Drive past the sandy beaches and rocky coastline, past the George Bush Estate at Walker's Point, hear the history of these shipbuilding towns and the legend of the Wedding Cake House. You will also visit the seaside Franciscan Monastery with its beautiful landscaping, shrines and Chapel. 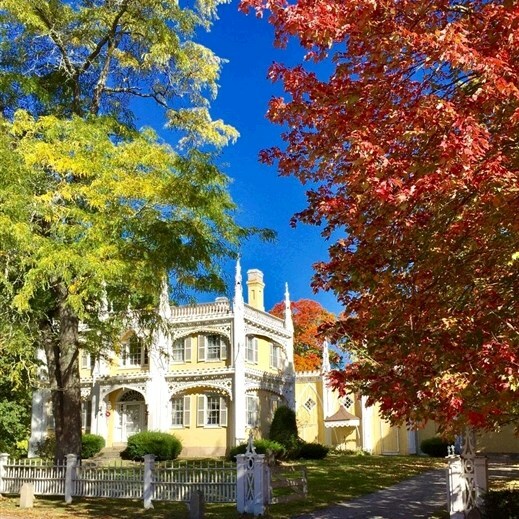 Our overnight is in Saco, Maine located between Kennebunkport and Portland. Dinner this evening is included at a popular local restaurant. What a beautiful day of touring ! Breakfast included at your hotel this morning. And we are off to Boothbay Railway Vllage, representing a turn-of-the-century Maine Village featuring railroad memorabilia, antique cars & trucks, and restored buildings such as a blacksmith shop, schoolhouse, chapel and general store. Here we will ride the Narrow-Gauge, coal-fired steam engine, take a guided "behind the scenes" tour in the train shop to learn how they are maintained and restored - very interesting. Lunch is on your own along the waterfront in beautiful Boothbay Harbor where you'll find lobster boats, bobbing and a variety of restaurants & fun boutiquest to explore. We'll then meet our local guide for a Maritime Tour of beautiful Rockport and Camden, home to a seal named Andre and a poet named Edna as we tour these charming villages. You will enjoy breathtaking views atop Mt. Battie within Camden Hills State Park - where the mountains meet the sea with sweeping views of Penobscot Bay and the surrounding islands. We will continue along the scenic coast to Belfast, our home for the next 2 glorious nights, providing an ocean view from the hilltop setting. Dinner is included at a local favorite. Breakfast included. 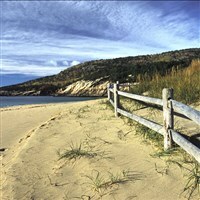 Off we go to the pristine south coast region of Maine lines with scenic beaches everywhere ! We will stop for a photo opportunity at York Beach with time to have lunch on your own followed by a guided tour of York village. Here there will be a stop at Maine's southernmost lightbouse, the Nubble Lighthouse built in 1879. It sits on a "nub" of land on the Maine-New Hampshire border and is also known as Cape Neddick Light Station. The lighthouse itself is not accessible to the public, but can be photographed from adjacent Sohier Park. Then we must work our way back to Danbury, Connecticut for our last overnight with dinner on your own. Breakfast included. Today, we'll finish our trek home, ciomplete with beautiful northern New England memories....filled with Maine villages, lighthouses, train excursions, lakes, lobster and lots more !